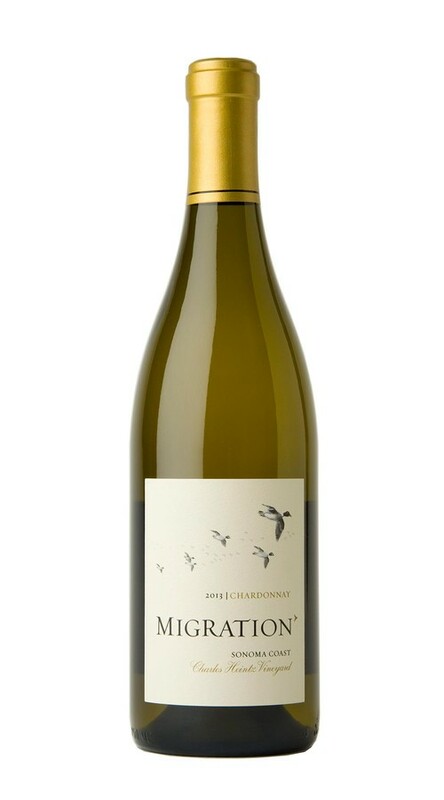 Migration is dedicated to crafting Chardonnay and Pinot Noir from the finest cool-climate winegrowing regions to create wines that highlight lush fruit, bright acidity and impeccably balanced oak. Since being planted in 1982, Charles Heintz Vineyard in Green Valley has emerged as a legendary site for world-class Chardonnay. Located atop the second ridge inland from the Pacific at an elevation of 900 feet, Heintz is a warmer vineyard in a very cool winegrowing region. This unique combination creates a gracefully balanced wine that combines the richness and intensity of perfectly ripened old vine fruit with the structure and acidity of great Sonoma Coast winegrowing. This is a gorgeous and elegantly layered wine with aromas of lemon custard, pear and honeysuckle, as well as background notes of wet stone and toasty oak. While the palate is lush and full, brilliant acidity adds poise and definition to flavors of stone fruit, custard, candied citrus rind and subtle hazelnut. Beautifully lush fruit paired with balanced oak.The bright acidity keeps it refreshing and not weighty.